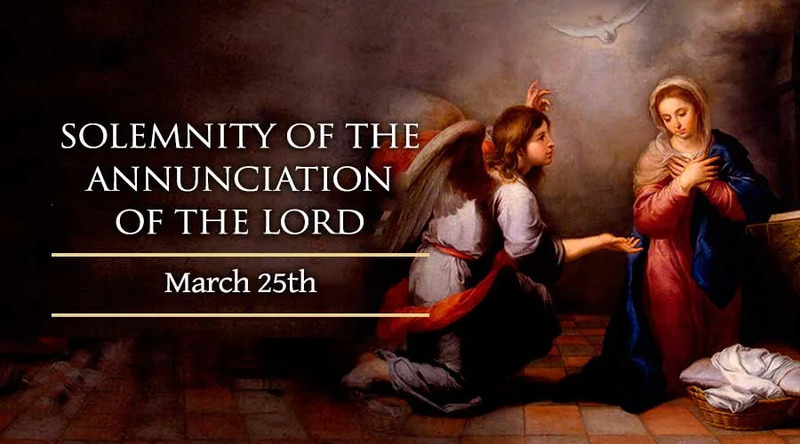 The Solemnity of the Annunciation celebrates the coming of the Angel Gabriel to the Virgin Mary to announce to her the special mission God had chosen for her in being the mother of His only son. We are continually reminded of the importance of this feast to our salvation in various devotional prayers. Two examples that highlight the importance of this feast are the joyous mysteries of the Rosary and the Angelus. The feast of the Annunciation began to be celebrated on this day during the fourth and fifth centuries, soon after the date for celebrating Christmas was universalized throughout the Church. This feast celebrates the Incarnation of the Second Person of the Trinity and the salvation of all mankind. This point of our salvation was deeply discussed by many of the Church fathers, to explain it to the faithful and to show the deep love God has for us. Some of the Church fathers who wrote on this were St. Athanasius, St. Gregory of Nyssa and St. Augustine.